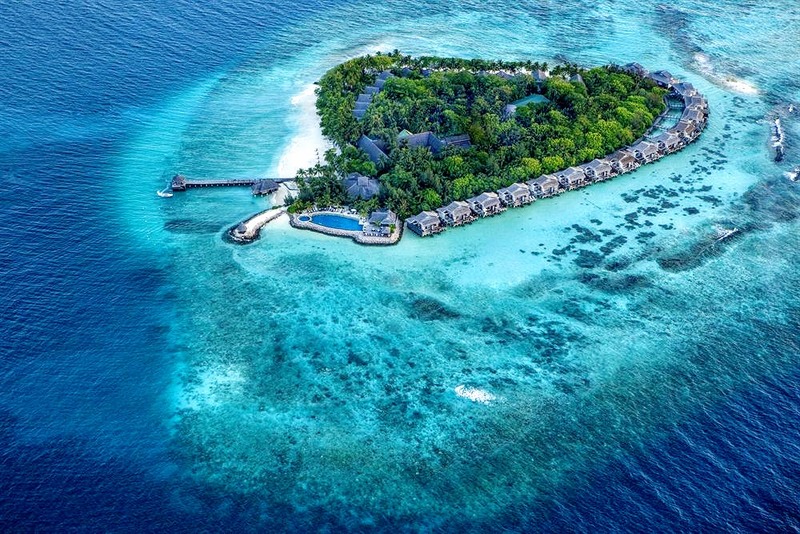 Since a lot of five-star tourists look for ‘heaven with no hidden charges’, Vivanta by Taj Coral Reef Maldives has launched ‘Maldives Unlimited’, an all-inclusive plan and a first for the Taj Group. Starting from this month guests who are staying at Vivanta by Taj Coral Reef, which is located in the North Malé Atoll, will be able to enjoy the new all-inclusive plan, which consist of all meals on an a la carte ‘dine around’ basis at the hotel’s three restaurants, signature cocktails, premium spirits, juices and sparkling wines at the Reef Bar (serves till midnight), as well as Wireless Internet and mini bar service. To make sure that the guests enjoy the resort’s very own house reef, is found simply metres off-shore, a guided snorkelling trip is also included with the price, as is a sunset champagne cruise in a traditional Dhoni boat and a daily Stingray feeding session. Rates for the newly enhanced all-inclusive plan is said to start at US $1450 per room per night, on a double occupancy basis. Other services such as Jiva Spa treatments, diving, motorised water sports, boutique, signature experiences and laundry, are subject to Service Charge and GST. Taj Hotels Resorts and Palaces consist of 93 hotels in 55 locations across India and also 16 hotels in the Maldives, Malaysia, Australia, UK, USA, Bhutan, Sri Lanka, Africa and the Middle East. The name ‘Vivanta’ is a blend of the words vividness, vivacity and ‘bon vivant,’ a French term meaning an appreciation for the good things in life. Exclusively for the diverse Globetrotter and the Bon vivant – Vivanta by Taj Hotels &amp; Resorts is designed to create experiences that promises to delight, relax, enthuse and poised to challenge you of your expectations of a hotel with its new signature in hospitality – Vivanta by Taj. The Taj strengthened its presence in the Indian Ocean with its Exotic Brand. The Taj Exotica was evolved as part of Taj Hotels Resorts and Palaces set on to position it as a brand that is visibly differentiated by its product philosophy and service design. Taj Exotica Resort and Spa Maldives is majorly focused on high-end accommodation with intimacy and an environment that allows its guest’s incomparable luxury and seclusion. Vivanta By Taj Coral Reef Maldives has all the exotic ocean views and dramatic sunsets that are de rigueur for any tropical holiday. The twist comes when you step into your villa and instead of the usual beach decor, find a streamlined, sophisticated take on resort accommodations. Vivanta by Taj has revamped the resort experience from stem to stern and offers the ideal escape at a stunning value proposition.